Come join us for the Happy Holiday's - Anything Goes Challenge. Show off your creative talents to win! 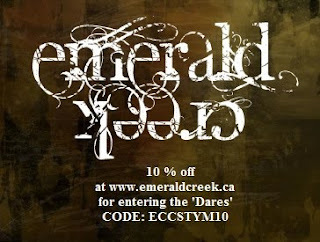 Stay tuned for the StencilGirl & Emerald Creek blog hop happening Dec 13 - Dec 15. We have some seriously talented people whipping up some amazing projects. 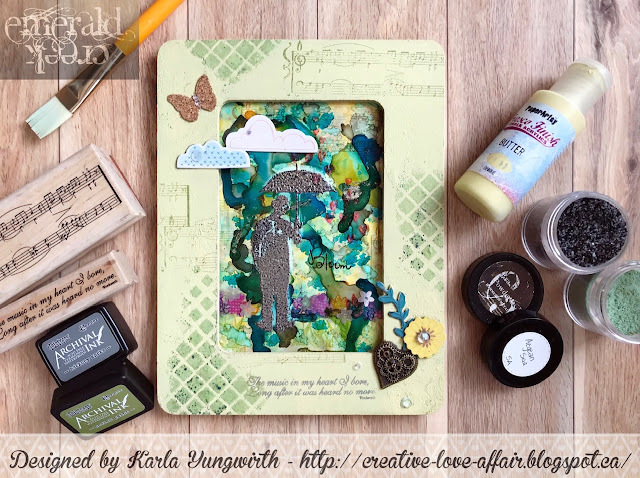 Beginning Dec 12th (I am pretty sure) is the 12 days of Giving with Creative Scrapbooker Magazine. You won't want to miss playing along there, because we have included a superb prize pack for their giveaway, along with many other awesome manufacturers and suppliers. Dec 17 we announce the new team line up for February. Not to mention our regular line up of awesome designers and their amazing festive creations! 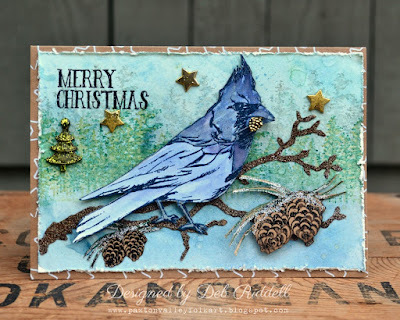 With the holiday season fast approaching I decided to make a Christmas card for our current Dare, using some of Emerald Creek Craft Supplies wonderful stamps, charms and embossing powders. 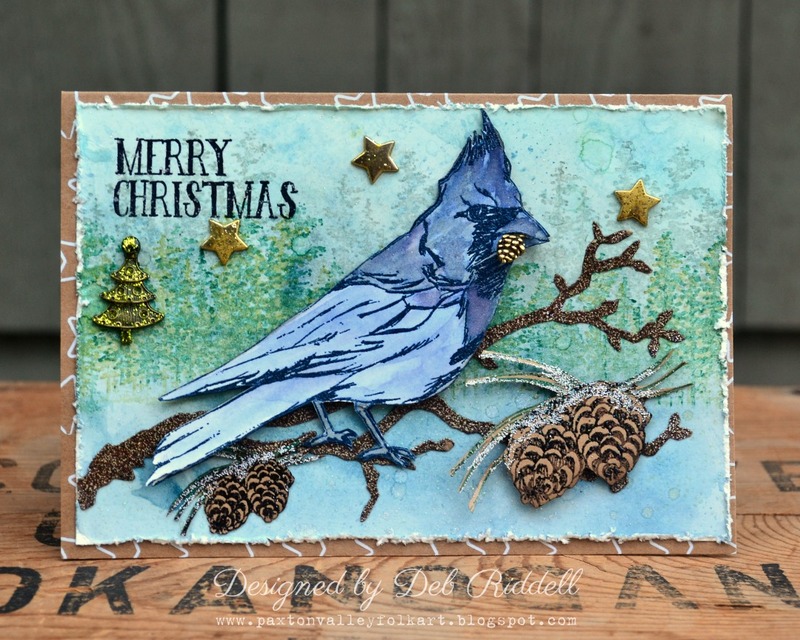 Since we don't have any cardinals out here in the west I transformed Emerald Creeks Cardinal stamp into a Stellar Jay and gave him a wee gold pine cone to offer up as a Christmas gift. Hope you can pop by my blog for my how to, happy holidays everyone! Gorgeous love the Jay ! Hi, I tried to enter your challenge but it says I have not linked back to you, but I have. Any ideas what I have done wrong ?